Every bike deserves to be great; it’s such a no-brainer and yet craftsmanship is often reserved for the Gucci-grade race bikes. Let’s flip that paradigm on its head. 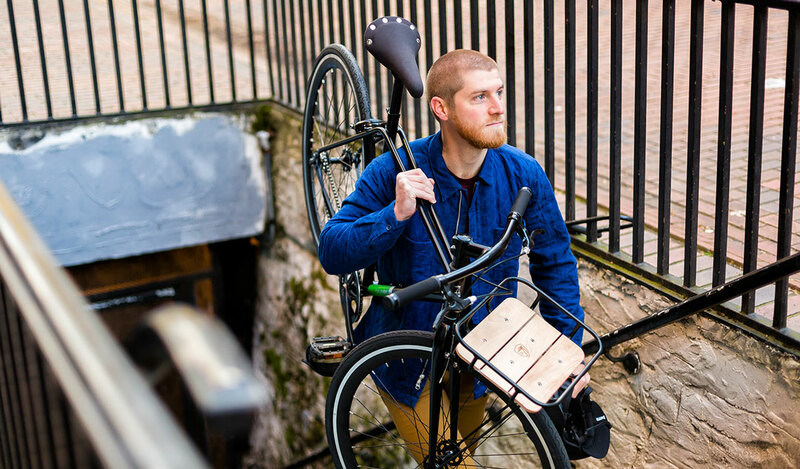 We want to inspire people to ditch the traffic and the daily slog, and get on their bikes. That’s why we lavish as much attention to detail on the bike you’ll pedal to the coffee shop as most companies heap on their Tour de France rigs. These are practical urban bikes. Absolutely. And by “practical” we also mean “classic” and “stylish”. Your bike ought to be this good. Function meet form. Form meet function. 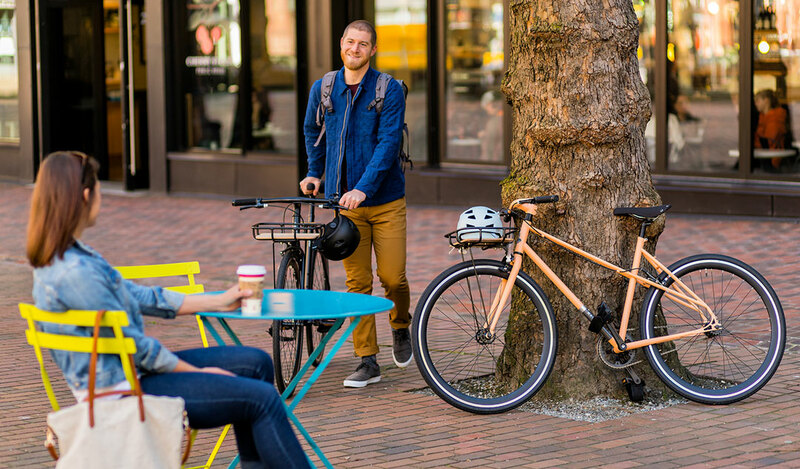 The Carlton is a city bike that makes quick work of longer miles, yet possesses a sleek and sophisticated style. 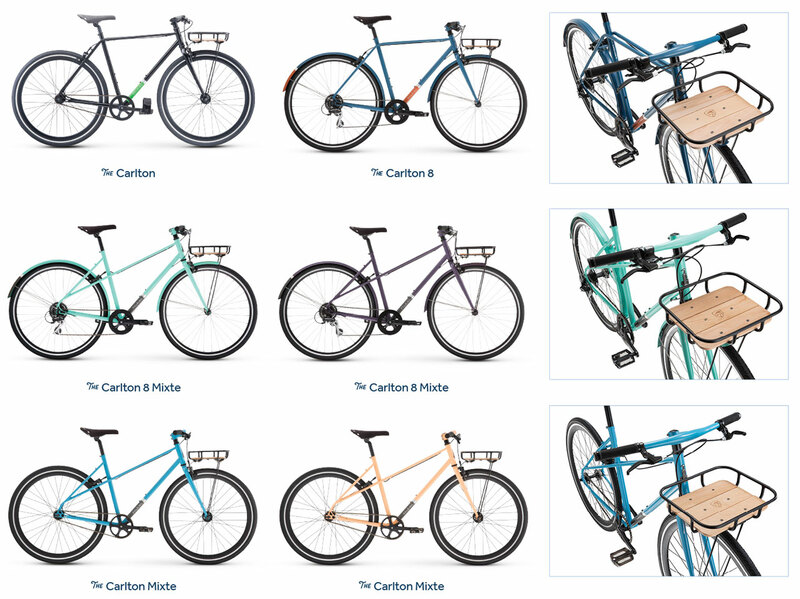 With their twin top tubes, one-piece stem and handlebars and integrated front racks with wood inlay, our Carltons are thoroughly modern machines. If you’re looking to rack up the miles, the eight-speed Shimano drivetrain on the Carlton 8 makes easy work of big hills and long commutes. Hailing from the northwest, we’re big fans of that model’s front and rear fenders. If you’re looking for something simpler, however, the stripped-down, single-speed Carlton is the right pick. We also offer the Carlton 8 and Carlton in both traditional double-diamond and in the lower-slung mixte design. *Bikes will be available for purchase mid-June.